Guest post by Karen Wilson. Contains affiliate links. Can you plan a Disney World trip for 2 year olds? However, one of the best things you can do while kids are still young is plan a trip to Disney World. That’s because even though the days might seem long with toddlers, the phase passes quickly, and before you know it they are all grown up. So take my advice… make the most of the time while you still can. With that being said, here’s some of my best advice for how to survive a Disney vacation with a 2 or 3 year old. One dilemma parents have is figuring out how far in advance to tell their children they’re going to Disney World. This is because every day could soon become a barrage of “When are we leaving? Are we leaving now?” questions. That’s why I recommend talking to your children about Disney World (such as the rides, the hotels, etc.) but without telling them that you’ve planned a trip. That way they’re aware of Disney World (and you can gauge their interest) without them nagging daily asking if it’s time to go. I personally went to Disney World as a toddler and my mother did a countdown. She told me that we were going in one week and we counted down the days together. Every day I would put a big red “X” on the calendar with her until we got to the big day. Another thing you could do with your toddler is watch videos about Disney World on YouTube. These can get kids excited about the park and you can figure out what’s worth your time and what’s not. Trust me, you want to know about this stuff in advance. At that age, your child is likely becoming more independent and curious. Because he or she is probably hopping out of the stroller, you’ll end up carrying it, so look for something is lightweight and easy to fold. It should still have a five-point harness to keep your kid secure. Oh, and be sure to check for possible pinch points where the canopy opens and closes. Since children like to put their hands there when walking, you don’t want them to get hurt. I should also point out that you should get something that’s easy to navigate. When your toddler is walking and holding your hand, you’ll need to navigate the stroller with your other hand, which isn’t easy to do with most strollers. The stroller that I use is the Summer Infant 3D Lite Convenience Stroller. It’s only 13 pounds, making it one of the lightest strollers on the market and it’s got plenty of storage space, so you can keep your keys, cell phone, bottles, and more. About a week ago, I went out to lunch with some girlfriends and I told them that I was writing this article about going to Disney World with a 2 year old and they made it very clear that I should include something about shoes. Warning: Ignore this advice at your own risk. If you don’t have the right shoes, you will not have as much fun. You do a lot of walking at Disney World. Before writing this section of the article, I did a lot of research online, reading reviews of what people were saying about walking around Disney World, and people seem to agree that Crocs are hands-down the best shoes to wear at Disney World. One reviewer said that she wore them on her entire 9 day vacation and her feet were never sore. Plus they’re waterproof and they have a lot of give. Just make sure that you get the original Crocs, because there are a lot of knockoffs out there. Or you could get these awesome Crocs with Minnie Mouse on them. And for your kids? How about these Crocs with Princess Ariel? If you’re not a Crocs type of person, you should invest in some high-quality sneakers. There are a bunch of them out there and I’m not going to go into detail on every single one, but make sure you check out the reviews. Also, make sure you go shoe-shopping well before your trip. You want to give yourself enough time to try on several pairs to make sure that you get some that will hold up well and keep you comfortable. Besides keeping the little ones comfortable on a plane, one of the things that parents must deal with is waiting with their children at baggage claim, keeping them entertained (and still) while you wait for your bags to whir around the conveyor belt. 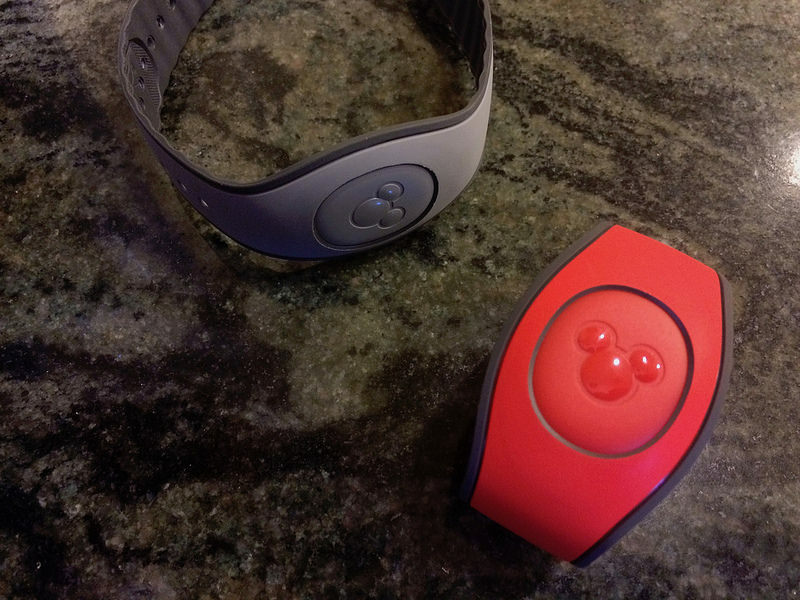 This is a part of Disney’s guest services that will make your transition from airport to Disney World hotel as seamless as possible. That’s because you can bypass baggage claim and the hassles of trying to find transportation. When you stay at select Disney Resort hotels, you can get from the airport to your accomodations in comfort and you can have your bags delivered DIRECTLY to your room (awesome, I know). Plus, you get a complimentary ride back to the airport on the day you check out of your hotel. I should point out that this is only available at Orlando airport, but if you’re flying to Disney, I don’t know why you would choose any other airport. If you’re interested in something like this, all you have to do is reserve Disney’s Magical Express with the booking agent for your hotel reservation. When you make your reservation, you’ll get information (and those cute luggage tags) mailed to you 2-3 weeks before your arrival. Baby Care Centers - Disney's Got Your Back! When Disney was thinking about Disney World for 2 year olds, they really went above and beyond with their Baby Care Centers. Most parents don’t even know these exist until they get there. A private nursing room with rocking chairs (this is a lifesaver). Kitchen with microwave, oven and sink (again, a lifesaver). A main sitting area with TV, chairs, and sofa. A nice place to relax from the hustle and bustle of the park without going back to your hotel. How Many Days Do You Need at Disney World? Yep, that’s my answer. Four FULL days, meaning you should bookend your trip with two travel days. I think that if you give yourself four days, you can spend one day at each of the four main theme parks. 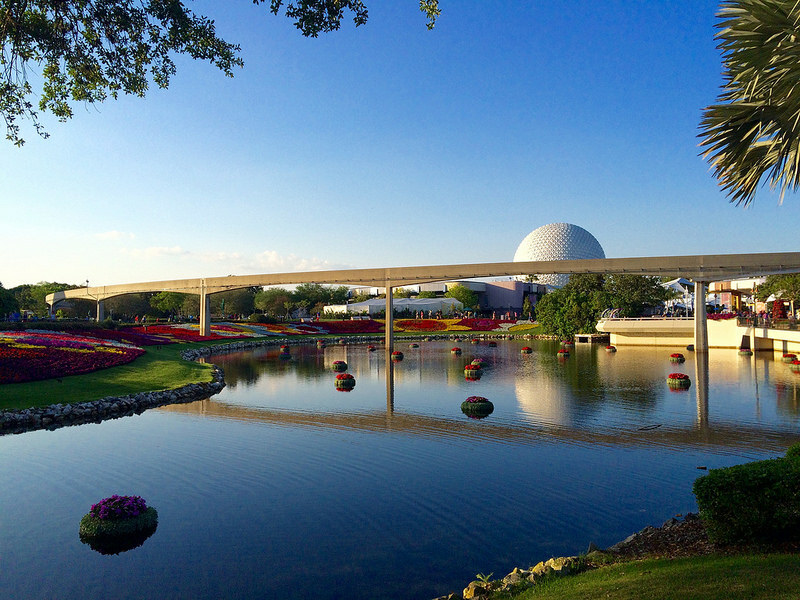 This gives you enough time to see the beauty of Disney World without having to sprint from one attraction to the next. If you don’t want to go to every park (Magic Kingdom is my favorite) then you can spend some more time at your hotel or go to a water park. However, I think that four days is the minimum amount of time you should consider. Disney is expensive and anything less than that won’t really be worth it. When you have 2 and 3 year olds, your days will be a lot shorter with early returns to your resort. For this reason, you might want to go five or six days. Or you could always stick with my four day plan (since there are some attractions your kids can’t go on anyway). If you really want to get fancy, you can schedule eight days and spend two days at each park. I’ve always done one day at each park, but different people have different tastes. I’m a Disney junkie, but I still like to spread my vacation around each day. Did you know that Disney parks employ over 1,200 security professionals? It’s true. Some of them aren’t even in uniform - they dress up as tourists and watch people for any signs of suspicious behavior. The Mouse is always watching. Also, the Magic Bands that they give you have high frequency radio transmitter chips, which work in long-range scenarios. That means if someone in your party goes missing, security will be able to locate that person via the Magic Band’s signal. Hopefully you never need to use this, but if you do, the technology is there. In addition to that, there are four complete medical facilities there, as well as a police station and fire station on park property. 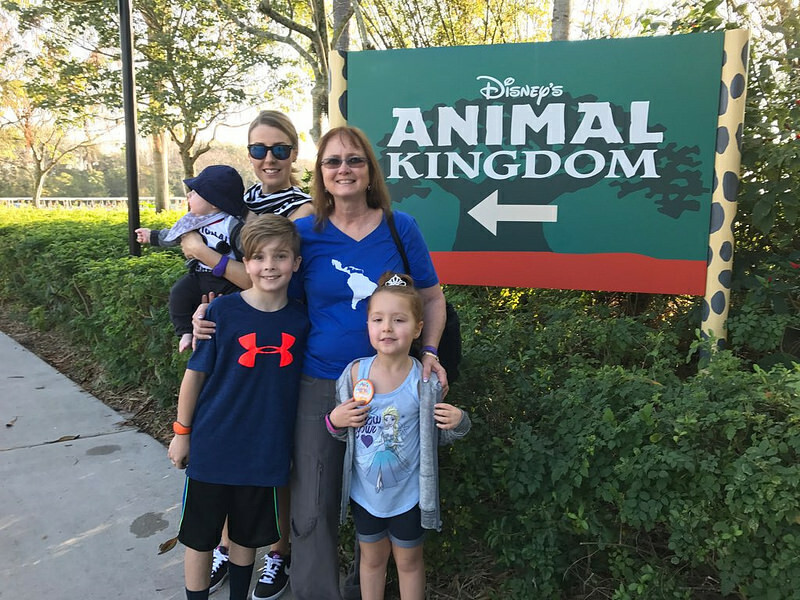 As I was brainstorming for this article, I started writing down some of my favorite things to do at Disney World for 2 year olds. I figured I would just give these to you so you can keep them and do additional research if you’re interested. This should serve as a good starting point for you. First of all, Magic Kingdom is the best park for toddlers. In Magic Kingdom, Fantasyland was designed for little ones. There’s so much for them to experience, from character meet-and-greets to rides to a water play area in Storybook Circus. If you’re not entirely sure what your child will enjoy, start with something tame like the famous “It’s a Small World” ride or Dumbo. Another enjoyable experience for your toddler at Disney is the Festival of Fantasy Parade, which is also in Magic Kingdom. It’s performed every single day and it’s a visual buffet. I recommend that you stake out a spot in the shade and eat some snacks while you wait for the parade to start. When you’re in Animal Kingdom, make sure you check out The Boneyard. This is a playground area that’s designed to look like a fossil dig site. It’s actually really cool - there are ropes, bridges, slides, and more. 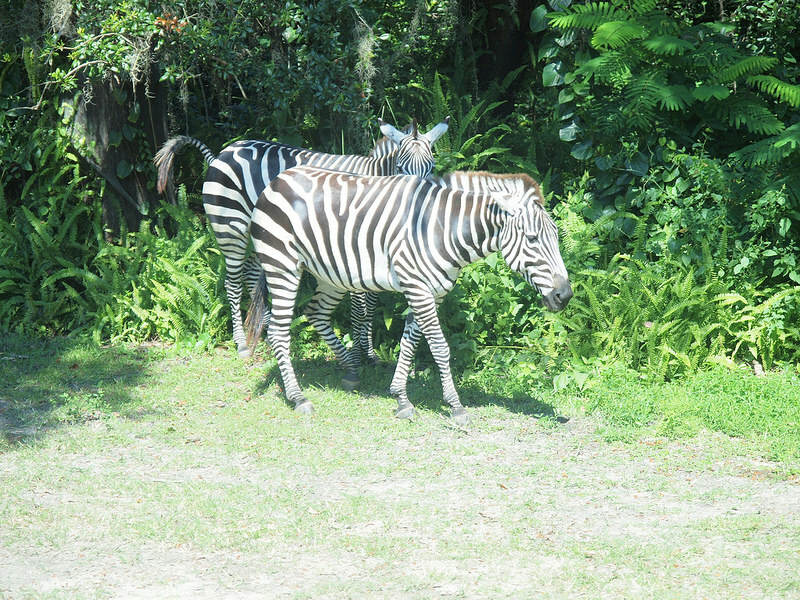 You can also take the Kilimanjaro Safari, which is a jeep ride where you can see lots of different animals. It’s a cool experience and informative too. If you want to check out a show at Animal Kingdom, the Festival of the Lion King is really good. My children love The Lion King, so we go to that one whenever we’re in Animal Kingdom. If your children like Finding Nemo, there’s also a Finding Nemo Musical that’s a little longer. It’s no surprise that all of the fun included with a Disney World trip comes with a hefty price tag. In fact, according to Credit Donkey, the average cost of a vacation (all vacations, not just Disney, which is more expensive) is a whopping $1,145 per person. A single day admission to Magic Kingdom will run you well over $100 per person, and food can be over $50 per person for meals hosted by characters like Ariel and Winnie the Pooh. Don’t forget about souvenirs either - shirts are about $30 a pop and Mickey ears are around $20 each. My friends always wonder how I’m able to take my family to Disney once, sometimes twice (for Halloween or Christmas too) each year. Sometimes I think they’re secretly jealous of me. I’m not rich. I didn’t win the lottery and I didn’t have some rich uncle leave me an inheritance. When I took my first trip to Disney, I definitely got sticker shock. I was blown away at how expensive it was and how quickly the money seemed to leave my purse. And to make things worse, as soon as we got home, my kids were begging to go back. I started doing some research on how to lower the cost of a Disney vacation and I found this book, written by a former Disney Cast Member named Beth Haworth. Beth reveals all of her little “insider tricks” she learned working at Disney. She watched hundreds of families needlessly throw money away because they didn’t know any better way. That’s why she wrote the book - to save families money and to make their vacations more enjoyable. And she’s not talking about some off-season deals, either. She tells you how to save money smack dab in the middle of peak Disney travel times. Hey, if I can do it, you can too. These are strategies that can literally save you hundreds - if not thousands - of dollars. How to save up to $200 on Disney tickets. She gives you all the different ticket types and the best buys. Which offsite hotels offer the best value, and which ones to avoid at all costs. Ways to slash your food expenses without sacrificing the fun of eating out. Things to do on a rainy day so you aren’t stuck in a hotel room. The one park you should visit last (especially with young children) - this one may surprise you! How to beat those god-awful long lines. Did you know it makes a difference if you stand in the right or left line? One is better than the other and Beth tells you which one usually moves the fastest. Hidden entrances throughout the parks that allow you to bypass the crowds. Where to shop for souvenirs to save 10-75% off the marked up theme park prices. The book is only $29.95 and just ONE tip from Beth is enough to pay for her book in full. And I must admit, I was skeptical when I first heard about her and her book. I know a lot of people online talk a big game just to try and sell you something, but I ended up buying because she offers a 100% money-back guarantee. If you don’t save hundreds of dollars using the guide, she will give you your money back. It gets sent to your inbox as a downloadable PDF, so you have instant access. You can read it on your phone, iPad, computer, or you can even print it out. I printed my copy out so I could highlight and take notes. If you’re even slightly interested in saving money on your Disney vacation, I strongly suggest you check out The Ultimate Disney Savings Guide. Thank you very much for reading this article. I hope you have an amazing time at Disney World!